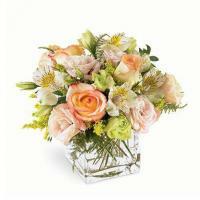 Bright colored 12 sweetheart roses in a box have never been so, well, sweet! 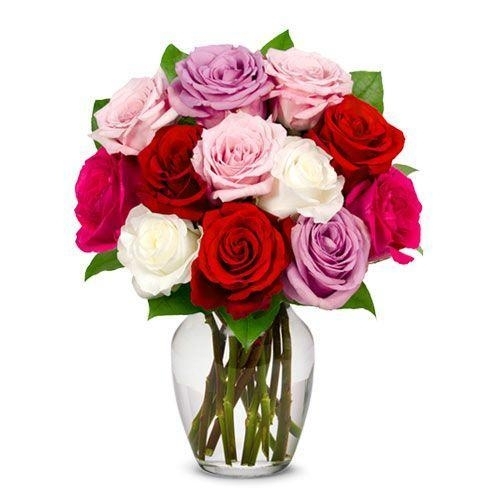 This floral bouquet includes a perfect combination of beautiful flowers with lilac, pale pink, dark-red, and tall alabaster rose stems, sure to bring a smile to your recipient's face. 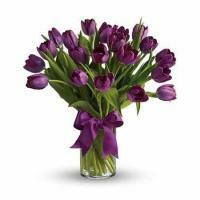 This romance arrangement will emit loving adoration wherever it sits. 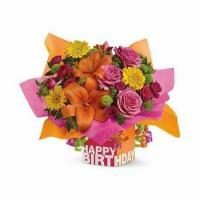 Each sweetheart bloom is carefully boxed, mixed among long stemmed fragrant beauties, for a colorful gift that's ideal for any special occasion. Twelve dozen roses will clearly express your thoughts, while also making her heart take an extra beat. 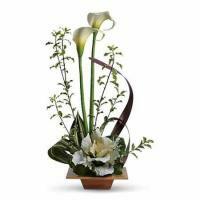 Order early for holiday deliveries, this centerpiece tends to sell out.